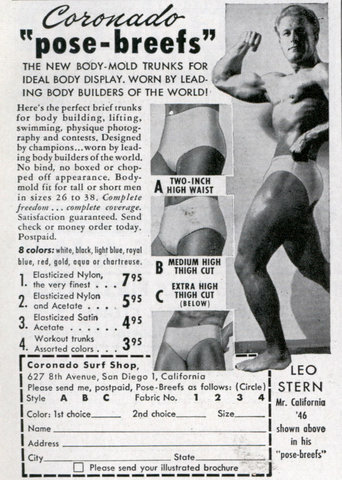 THE NEW BODY-MOLD TRUNKS FOR IDEAL BODY DISPLAY. 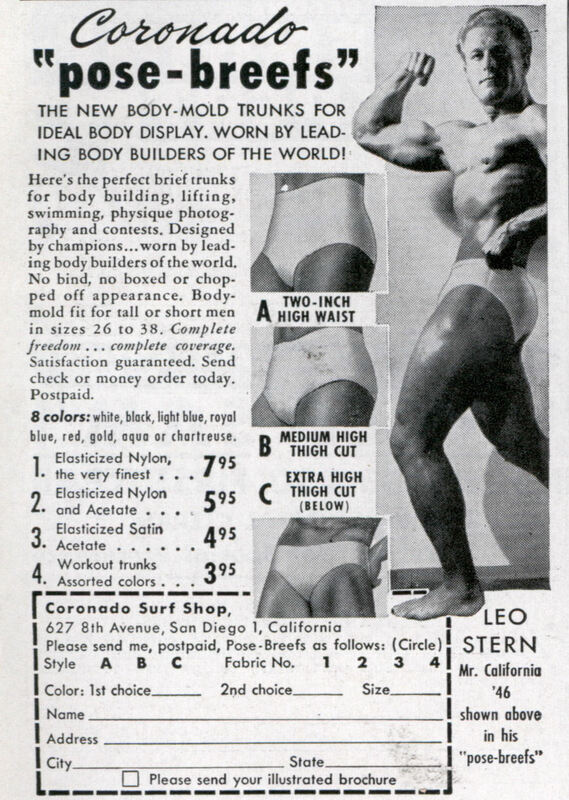 WORN BY LEADING BODY BUILDERS OF THE WORLD! Here’s the perfect brief trunks for body building, lifting, swimming, physique photography and contests. Designed by champions…worn by leading body builders of the world. No bind, no boxed or chopped off appearance. Body-mold fit for tall or short men in sizes 26 to 38. Complete freedom … complete coverage. Satisfaction guaranteed. Send check or money order today. Postpaid. 8 colors: white, block, light blue, royal blue, red, gold, aqua or chartreuse. Um, I don’t want to be crude but does anyone else notice the lack of any sign of a bulge in the crotch? I bought the extra high cut swim suits a couple of time and they were great. 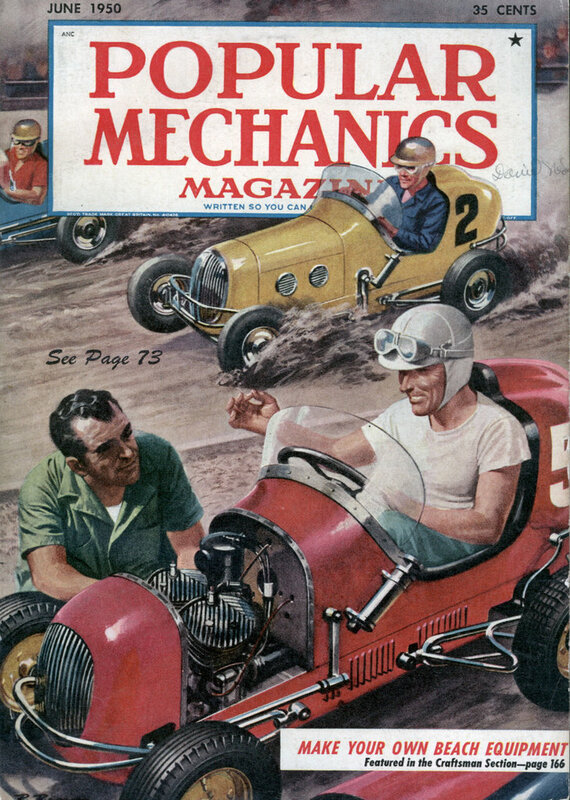 It was probably before spandex so the material was thicker. Nothing like them on the market today. As to the lack of bulges in the photos they were either artist renderings or retouched. Remember how conservative times were then. I bought my last suit from them in 1960 and searched for them several times since. It was great seeing the ad again.